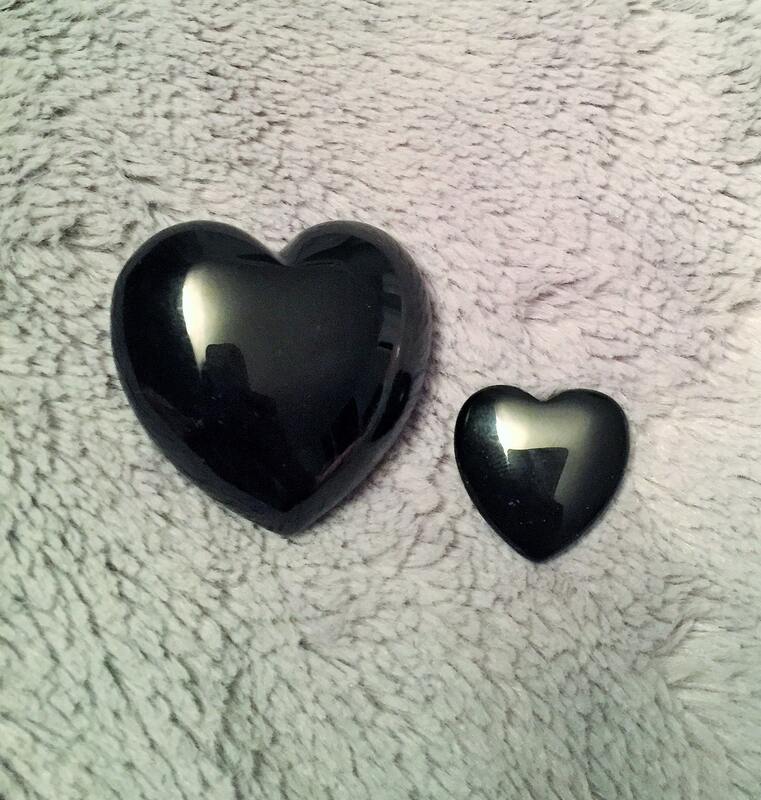 These Black Obsidian polished heart stones have a gorgeous shade of black. They have a shiny polished black look. 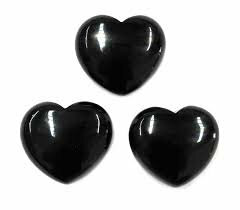 I keep one in my purse or near me because Black Obsidian is known to absorb and destroy negative energy and may be used for protection. 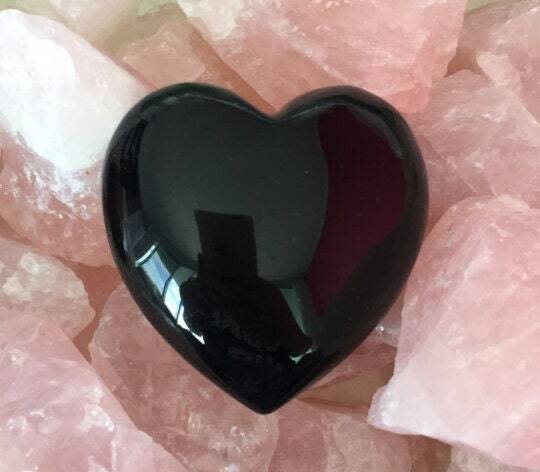 Listing includes 1 Small and 1 Extra Large Rose Quartz Heart. Great addition to my healing stones.